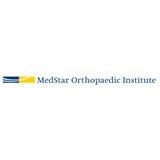 MedStar Orthopaedic Institute (Alexandria) - Book Appointment Online! My visit was good, Dr. Hampton is very nice and explanatory - however my only complaint is that I had a follow up appointment that didn’t conclude me knowing anything new/different. He took the time to explain what the X-Rays and MRI were showing, He did not seem rushed and took the time too answer my questions and explain his diagnosis. He instilled with me a sense of confidence. He is great however today the wait time was 45 minutes. Dr. Dwyer was pleasant and gave a lot of information. When I told him about the problems with my knee he had it x-rayed right away and had the x-rays in the exam room right after the x-ray was taken. She spent a lot of time with me, and was concerned about my condition. Short wait. Nurse quickly took down vital information. Dr. Byrne was thorough in the exam, and also willing to discuss my options in detail. I felt very good about the visit and confident in his treatment recommendations.